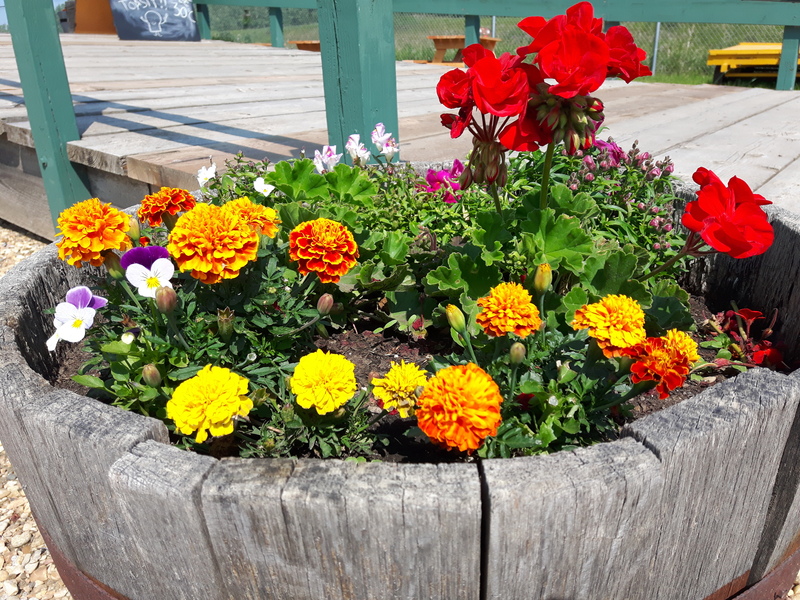 The other day, the interpreters at the St. Albert Grain Elevator Park decided to use some of the marigolds growing in front of the train station to dye some of the wool yarn that our friends at the Father Lacombe Chapel spun. This was something that was surprisingly easy to do using ingredients we already had in our kitchen. To prepare the dye bath, we boiled the marigold flowers for half an hour while the yarn was being soaked in a solution of water, alum, and cream of tartar (the latter two being the mordant, or what helps the dye to bind to the yarn). Next, we removed the marigolds from the dye bath, added the wool and some more water, and let these sit just below a boil for another 30 minutes. This turned the yarn a lovely yellow colour that remained after the yarn was thoroughly washed. 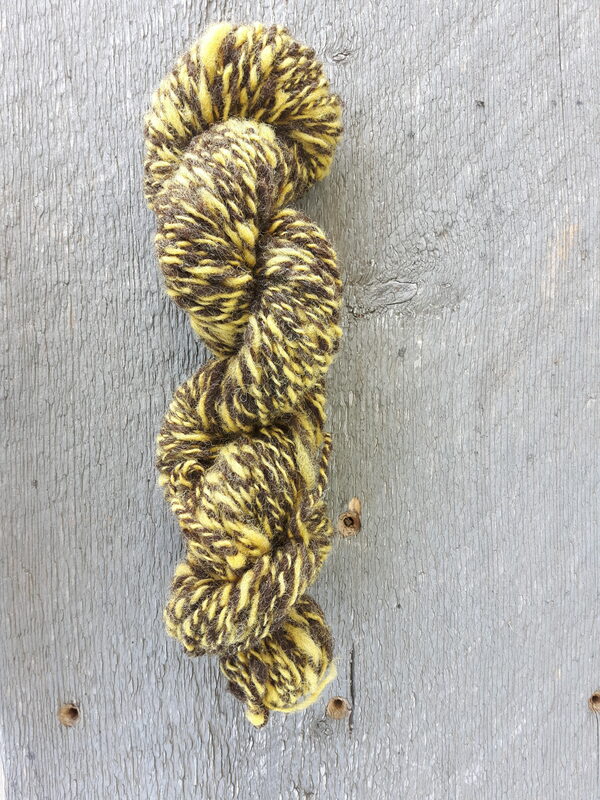 We were so pleased with how the yarn turned out we can’t wait to try dyeing with other plants around the heritage site!